These make you faster. Lift them. Don't run with them. In Part I of this post I discussed some of the evidence and ideas behind the idea that distance runners benefit from explosive movements and heavy strength training. In Part II I’ll discuss some of the exercises and workouts which you might incorporate into your current program. First, when we talk about strength or “resistance” training programs we can think of several methods including plyometric or jumping exercises, weights, hill running or running with parachutes attached to the runner. This discussion will focus on jumping exercises and weight exercises. Be careful with depth jumps. Impact forces generated from landing off of a box can be enormous depending on the height of the box involved. Think of box height like you would weight on a bar. Start with a low box and work up to higher boxes. These are total body exercises employing barbells. Avoid machines like leg extensions and leg curls. Plyometric and strength work should not be used more than three times per week. Rather than simply pile this work on top of your endurance work, two sources (here, here) suggest replacing 20%-30% of endurance training time with explosive or weight training. The point being that you don’t need to spend very much time doing this work in order for it to be effective. – Bounding: You may think of bounding in terms of distance or reps. This is short duration/short distance. For example, bound the length of a basketball court or for 20-30 yards. Or bound for up to 10 reps. Start with two sets and add one set per week up to 10 sets. Recover fully between sets. THIS ISN’T ENDURANCE WORK. – Box jumps, power step-ups: Go no higher than 10 reps. Use the same set scheme described above. Recover similarly. – Depth jumps: Again, be careful. Go no higher than six reps per set and no higher than 10 sets. Recover at least 30 seconds between jumps and recover fully (up to three minutes) between sets. Only use depth jump workouts once per week. Progress to depth jumps only after several weeks (2-3) of jumping and bounding. Don’t start with depth jumps. A good method of tracking your lifting is to multiply weight x reps x sets. For instance: 200 lbs x 3 reps x 5 sets = 3000 lbs. If you’re doing three workouts per week then you can add the totals together to get your weekly score. Follow the 10% rule for running with your weight program, that is add no more than 10% per week either through weight or volume to your weekly score. You may use the same scoring method for your jumping work. You could use an infinite combination of jumping and/or weight exercises but why not keep it simple? For example, you could use one jumping exercise exclusively for all workouts for one to three weeks then use one weight exercise exclusively for the same amount of time. Take a week off then start over with new exercises. The research suggests that it doesn’t take a lot of time or many exercises to get the results you want. Workout intensity should build over the weeks. Take a break then start over at a slightly higher intensity than where you previously started. Your workouts may vary during the week. Don’t set your workouts in stone. Depending on how you feel you may use higher or lower volume (reps and sets) or you may vary your intensity (weight). All of this variation is known as known as periodization. The research suggests these methods work to increase running ability. One way to make sure you’re progressing is to test yourself. This is fairly easy. Select any distance you want (1 mile for instance) over a standard course. Run the mile each week and track your time, average heart rate and rate of perceived exertion (RPE). If you are progressing then your run time may decrease, and/or your average heart rate may drop, and/or your RPE may drop. Remember to taper your gym work as you would your running work. Don’t start a new strength program in the middle of your season. Start this program before the competition season. Workouts should be brief and robust. Done correctly, these workouts should not negatively impact your run workouts. To that point, strength workouts should be separated from your hard running workouts. Both your strength workouts and your runs should be high-quality. Engage in some sort of dedicated joint mobility program before, after and possibly during your workout. Z-Health is a fantastic method to prepare your body and nervous system for hard work. Addressing joint mobility and joint awareness will keep you pain free and performing at your highest potential. Don’t lift weights in your running shoes! They’re not made for that. Running shoes put your heel up on a wedge which may promote hyperextension at your low back. Further, the squishy cushioning will impede proprioception or your sense of how to interact with the ground. Choose a flat-soled shoe preferably with a thin sole. The Converse Chuck Taylor is a good choice as are Vibram 5-Fingers. YES! If you could bulk up you would’ve already bulked up. It may seem counterintuitive that distance runners can benefit from heavy weight lifting and explosive jumping exercises. These things don’t much resemble distance running! However the evidence is in and it’s growing. 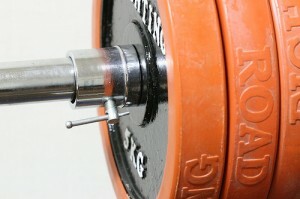 Don’t waste your time in the gym doing high-rep/low-weight lifting–stuff that feels like endurance work in other words. Leave the stuff that feels like endurance work… for… well… endurance work! Use your time in the gym to build strength. Thanks a lot. Hope the information helps. Runners will eventually be lapping this information up because you are spot on. 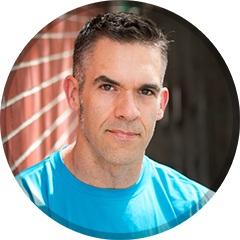 Thank you for both articles on strength training for runners. Hopefully runners don’t discover any of this until after I win all the races though- let ’em stick to yoga for the time being.